Your Students' Union - called MDXSU - won Students' Union of the Year in 2017. They're here to help you get the best from Middlesex and make sure your voice is heard. 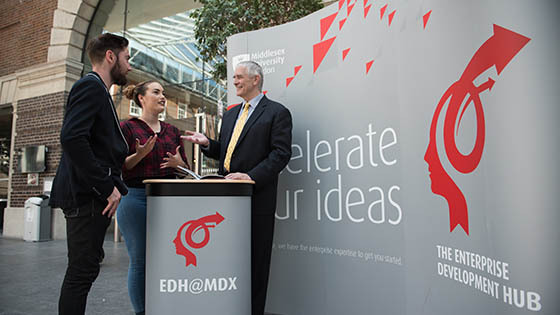 Middlesex has over 85 clubs, societies and student groups on campus. Learn to play basketball, join a gospel choir, advocate for students' rights or join a network of people like you. There are endless ways to do what you love and find your people. Live music, comedy, film screenings, quiz nights, balls. There's something going on to match your interests throughout the year from Freshers' Week to the end of term. We host events on campus to open doors, boost your job prospects and help you do better on your course including careers fairs, postgraduate study events and talks about your subject. Choose from part-time work opportunities on- and off- campus that fit around your studies and holidays. Last year we employed 747 students on campus in over 598 different roles. Choose from Course Ambassador and Student Ambassador roles or work as IT support, as a translator, a fashion model, a musician or a sports assistant. As well as making some extra money, you'll develop a range of soft skills such as team working, communication skills and commercial awareness, all of which are sought after by employers. Plus you'll have a good time with a new group of friends. Advise you on getting the job you want after graduation. Middlesex students want to make a difference. We support charities, raise money and get involved in the local community. 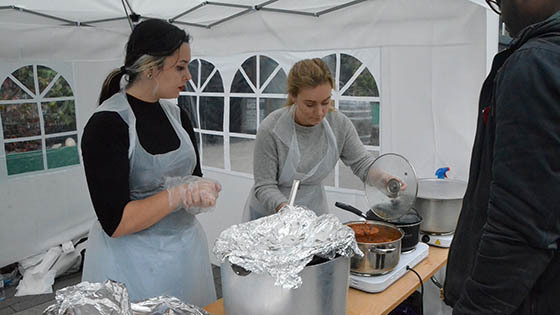 If you want to give your time to a good cause, we'll find an opportunity to suit you – like serving food in our soup kitchen or setting up your own fundraising event. Take part in voluntary after school coaching and school holiday camps working with community groups and local businesses. There are also opportunities to go abroad with partnerships in The Gambia, China, Kenya, Mauritius and the USA. Take part in sport on campus to get fit, meet new people or have some fun as part of a team. Our 'Give it a go' sessions are a chance to try out anything from table tennis to fencing. At Middlesex, we come from all over the world and we celebrate our different backgrounds and religions. We encourage you to connect with your faith when you study with us. There is a prayer room on campus and places of religious worship near us in north London and we're here to support you with any other facilities that you need. 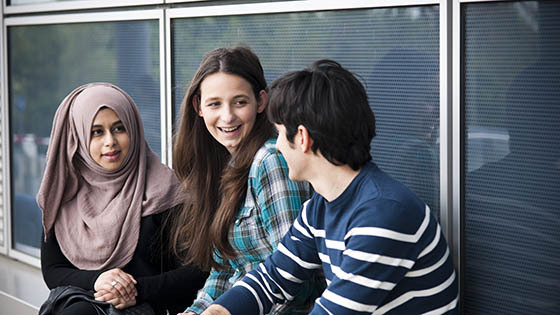 At Middlesex, you'll study and socialise with students from all over the world on campus. Your new friends will open your mind to different viewpoints and new ideas - so you start to think differently. Join our Language and Culture Exchange scheme to learn a new language from another student at your own pace. You'll find out about different cultures and traditions along with useful words and phrases. The world is your campus when you go abroad as part of a student exchange. Choose from over 100 different exchange partners, study at one of our international campuses in Dubai, Malta or Mauritius or do a paid work placement with Erasmus+. We'll help you to make the most of your time as you live and learn in London. Find out about our support for international students - from before you apply to after graduation.